This was my first year in kindergarten. I have to admit I was very hesitant about making the transition from second grade to k. I always said that I could never do it. It helped that I was in a team teaching position year, but I still had my reservations even once the school year started. It was so different. They were so little. I just wanted to go back to second grade where I was comfortable. 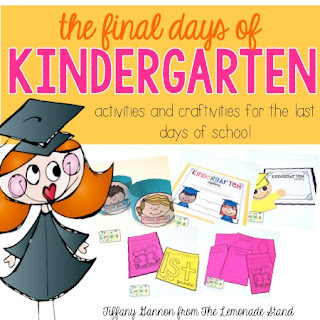 Fast forward to October---I had fallen in love with kindergarten! It was where I knew I needed to be. I was a kindergarten teacher. As the year went on, I grew even more attached to the grade level and especially to the students. A few weeks before school was out, however, I accepted a new first grade position in a different district. I am so excited about this new opportunity, but I am really sad to let my kindergarteners go. I have become more attached to this group than any other group, so I wanted to make that last week with them special. My teaching partner and I rotate lead teaching days. I made sure to plan this book on the day she was lead teaching, because I knew I just couldn't make it through it. ;) We were both crying our eyes out by about page three!!! It's the saddest yet sweetest book and mirrored our week perfectly. We tried to make this year the most memorable year possible, since it it kindergarten! We took a couple of days to create a memory book to reflect on all of the good times. I forgot to take pics of their actual ones. I would recommend printing the cover page with Astrobrights paper and the inside pages on white. It was so fun to see what was most memorable to them and what had really stuck with them. Once our memory books were complete, we read First Grade, Here I Come! by Nancy Carlson. We then made a First Graders Can, Have, Are anchor chart together to help them with the next activity. I forgot to take a pic of that, too, apparently. Ugh! It was funny to hear what they thought about first graders. Apparently, first graders are big time and really cool! Lol! We turned our anchor chart into individual mini books for them to take home and then made the fun hats above. They were all about showing that hat off to the first grade teachers! Before graduation and packing up, I thought it would be fun to make a little grad craft to hang at the actual graduation. We attached a writing piece of their favorite memory from kindergarten. These were really sweet to read and I am sure a great keepsake that parents will always treasure. I made our diplomas for graduation. We had a rainbow theme in our classrooms this year, so I wanted to incorporate that theme throughout graduation. And if you want to cry your eyes out even more, sing this song with them! It is so fun and a perfect end to the year with your students. 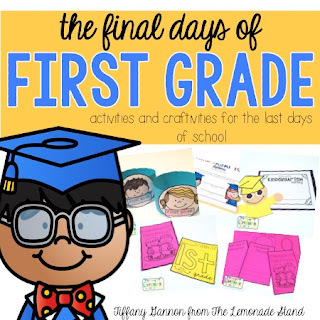 You can check out the end of the year pack below, along with the one for first grade. 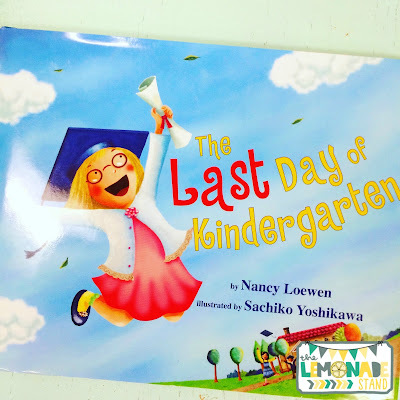 Congratulations on finishing your first year in kindergarten! That is a huge accomplishment! As a first grade teacher, I am so excited to hear you are switching to first grade. It will be great to see what you do! Thank you, Tracy! 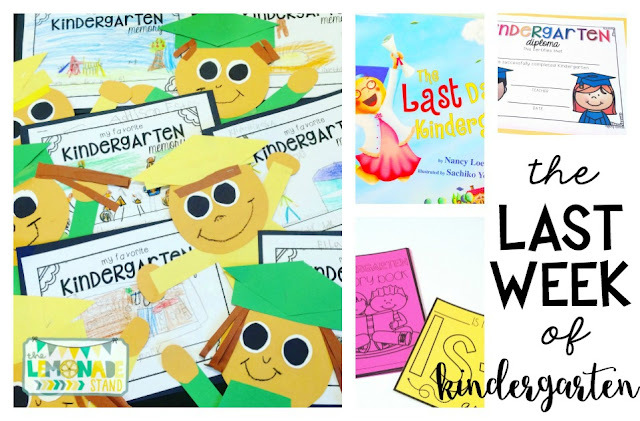 I loved kindergarten, but I can't wait for new adventures in first grade!